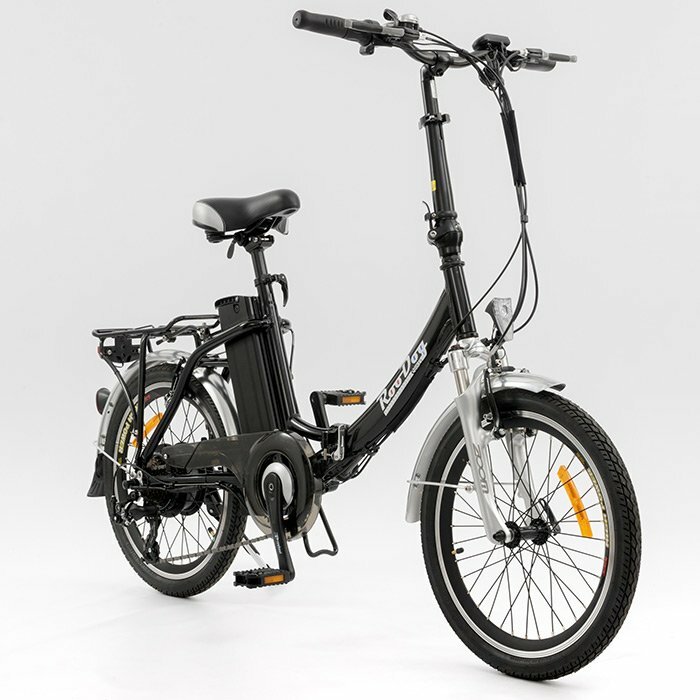 Bliss folding electric bike is the perfect bike for commuting, taking on holiday or if you have limited space at home. It folds down to fit in stair cupboards, most car boots and motor homes. Small wheels ensures it is easy to store, and the lightweight aluminium alloy frame means it is easy to ride and lift. With the standard LED display to show battery indicator and PAS modes, Bliss also has powerful LED lights front and back to help get you home after dark. The Bliss is our space saving folding RooDog. Now with upgraded front and rear disc brakes. The Bliss has 20” wheels and folds in half. It will tuck away under your staircase cupboard or in most car boots. Perfect for commuting, camping lovers, motor home owners, or just simply for people who like petite bikes. We would recommend that the Bliss would suit a rider from 5’1ft to 5’10ft tall. The Bliss will do 30 plus miles per full charge on level 5 (highest speed setting). Your range will increase dramatically on the lower eco levels. Dependent on weight of cyclist, frequent use of PAS, air pressure in tyres, road condition, etc. Continually using the throttle and/or hill climbing will significantly reduce the range of the battery. People come in all shapes and sizes our size guide is only advisory. The best thing to do is test them all out and see which RooDog is the one for you. We purchased 2 of these at the February Motorhome Show at Birmingham 2018. Despite delivery being held up due to heavy snow throughout the country Scott kept us informed of their progress to our home throughout. They are a delightful business to deal with. Any problems or queries have been dealt with in a friendly, prompt and courteous manner. Our bikes fit nicely in our motorhome garage and have already given us many hours of enjoyment, including being able to ride out from our home which is a hilly area. Fantastic being able to ride up hills with no effort. Love them. Battery indicator, management of 5 speed, LED lights and PAS system.